Did you know EMF (Electro Magnetic Forces) are extremely harmful?! Causing anxiety, depression, insomnia, infertility and more?? Did you know EMFs come from smart phones, smart watches, WiFi boxes, TVs, computers, tablets and Bluetooth devices. Now, take a moment to think about how many of the devices are in your bedroom, or your children’s bedroom. I have some MAJOR tips and tricks for you for reducing EMFs and aiding in sleep! Step 1: Remove all of the listed above devices from sleeping areas, turn off or turn to airplane mode. Step 2: Get a battery operated alarm. Step 4: If you absolutely need to be on a device before bedtime, have your glasses equipped to help block the harmful rays that can block your body’s ability to create melatonin. Or find a pair of anti-EMF glasses here. Step 5: Take magnesium before you go to bed. 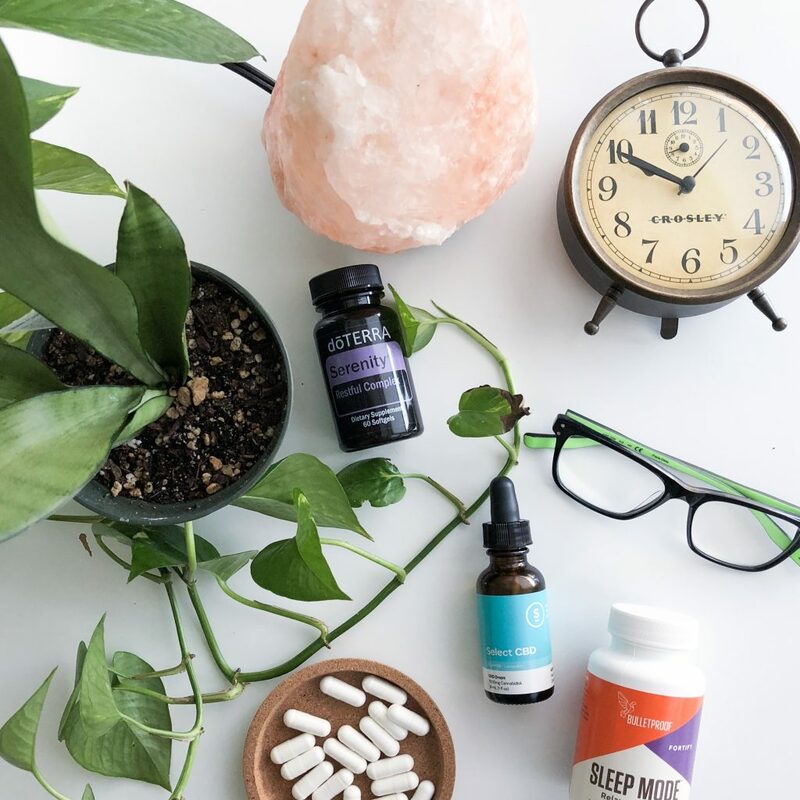 Step 6: If after following steps 1-5, you are still needing a boost to fall asleep, try Serenity EO blend, CBD oil or a melatonin supplement! Shop those items here. Please remember I am not a medical professional, always ask a medical professional before taking new supplements, CBD or sleep aids.